If your oven is not creating the desired heat or you’re always left with a cold oven, failure of the fan oven element can be a possible reason. If that is the situation, replace it with the Electrolux Fan Oven Element to fix the fault. The genuine oven element regulates the electric flow in a way that creates more resistance and heat radiation in the oven. Only when the round element gets the desired temperature, the oven becomes functional and starts to heat up better. 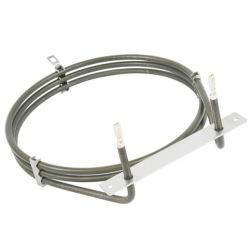 This round oven element fits select oven models of brands, namely Electrolux, AEG, Zanussi, and Tricity Bendix. This 2500 watts element is compatible with select Electra, AEG, Electrolux, Parkinson Cowan, Moffat, Zanussi and Tricity Bendix ovens. Really good value replacement. Really easy to change the part and fit. Ordered the part on Sunday. Charge for delivery which would normally come next business working day. Turned up after a call and 4 days wait. Easy to order online, prompt delivery, easy to install. This is the second order with Ransom Spares and both first class. Fitted to Electrolux oven, item was original part with same number etc. First class service from Ransom spares, item was cheaper than elsewhere and arrived next day. One word of warning, when you disconnect the wires from the old element make sure they do not slip back into the hole. One of the wires on mine was taught and before I could catch it had disappeared. This entailed removing the Oven (built in) and taking the side off to get at the wires. A job that should have taken half an hour took half a day. The element is high quality and looked identical to the one it was replacing. easy to fit as long as you take care that the wires attached to the old element don't go through the back of the oven when you try to detach them from the old element. Service by Ransom Spares was excellent as always. Received order very quickly, watched accompanying YouTube video on how to fit it myself. Fitting took less than 10 minutes. Product was exactly as described, perfect fit. Thanks! 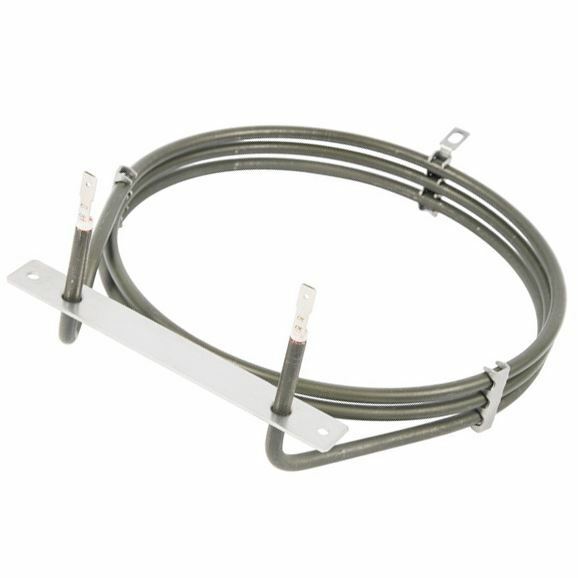 This heating element is good quality and excellent value for money.And it is very easy to fit. Recommend. Hi just wanted to know, what's the difference between this item and the Fan Heater Element Part number: RS120718 ? I am looking to get this part but just want to make sure I'm getting the right part. Thanks in advance. Hi Amr. The difference between these two parts is whether is genuine or not. RS81470 is genuine whereas RS120718 is the patent part. The genuine will come with 12 months warranty but the compatible will come with 6 months warranty.